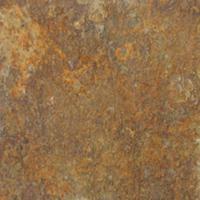 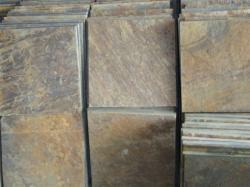 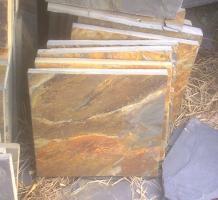 Our rustic slate is also called rusty slate by some customers. 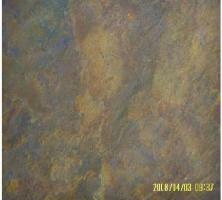 It basicly black slates with a thin layer of rust on one surface. 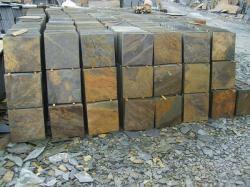 The whole body is still black.So it is as strong and durable as black slates and the standard sizes are also as the black slates,but the quantity of rustic slates are not as large as black ones. 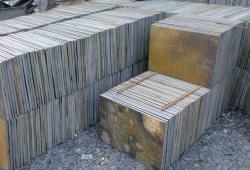 Rustic slates can't be honed otherwise the rust will be run out.It can be used for outdoor paving, indoor flooring, wall cladding, roofing and art-craft etc.